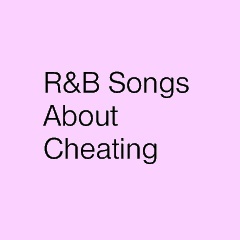 Welcome to our R and B Songs about Cheating page. I love to listen to so many different types of music, but for some reason one genre that I find myself listening to the most, is R & B. The music gives me a sense of connection. On this page I will compile a list of R & B songs about cheating, and hopefully they will give you a sense of connection as well. With your help I am hoping to find the right blend of R & B songs that are about infidelity and cheating to include on this list. The right music can make the world slow down so that it is more relaxing and enjoyable. Below you will find a compilation of R & B songs about cheating with a brief description for each. There will also be a form in which you will be able to leave your suggestions for other R & B songs that you would like to see added to this page. This is a slow song with a R & B feel to it. Monica chooses to walk out after all the pain she endures in the relationship. This is a nice little R & B jam. No matter what he did, she kept him on a pedestal. If you are man enough enough make a child, be man enough to raise that child. He's cheating on his "daytime" girlfriend with the woman that comes out behind close doors. Real smooth. This is your forum and outlet to share the song that you want to see added to this list. Share your R & B Song about Infidelity or Cheating here. Everyone is invited to join in. There is no good or bad when it comes to sharing what's on your mind!